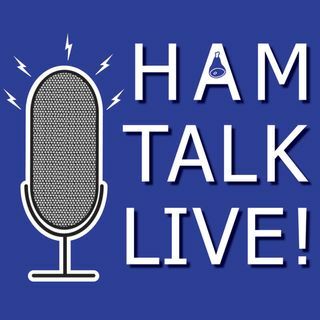 Episode 63 - The Latest Hamvention Update from DARA | Ham Talk Live! DARA officer Michael Kalter, W8CI, the official spokesperson for Dayton Hamvention, is here to talk about the latest news about this year's plans and take your questions! We talk about the flea market reservations, traffic, parking, internet and cellular access, rain strategies, and more! As with all 6 of our Hamvention preview shows, we will give away a RadioWavz DX80 off center fed dipole to one lucky caller! So be sure to listen LIVE and CALL IN TO WIN! Be sure to CALL in with your ... Maggiori informazioni questions and comments by calling 812-NET-HAM-1 live during the show, or by Skype. Our username is hamtalklive. You can also tweet your questions before or during the show to @HamTalkLive.